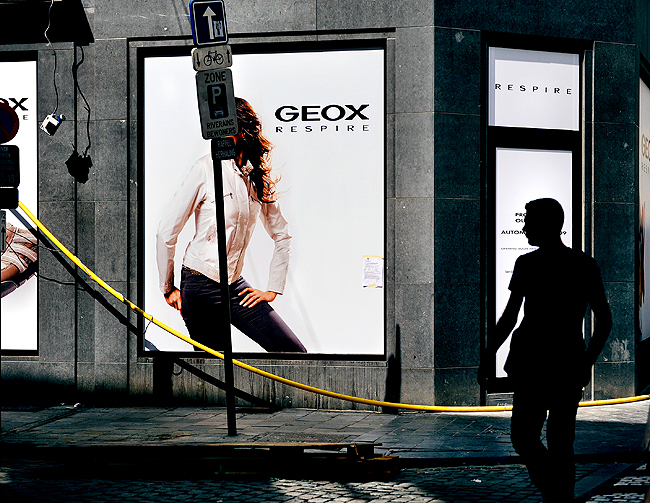 "A pedestrian makes their way down Stoofstraat in Brussels, Belgium, Tuesday, June, 23, 2009." I was digging through some travel photographs last night and came along my Europe pictures from 2009. I believe this has been a hidden frame on this blog until now. A friend asked me recently, if I could be paid so much money a year (read: a very comfortable number), but I still had to be a photographer, what type of photographer would I be? It's a difficult question if you put serious thought into it. When he asked me, I gave him an serious answer, and he said that I probably wouldn't want to do that every day. I've been thinking about it a lot of recent. When I think about what usually brings me joy, it's street photography. I love to travel, mostly for the feeling of being immersed in somewhere completely foreign. There are no preconceived notions or thoughts, you're simply lost in a world you know nothing about. Everything is spontaneous and fresh. And even in your own backyard, the street is the same way. There is a certain anonymity about it, and I think this frame perfect sums that up.